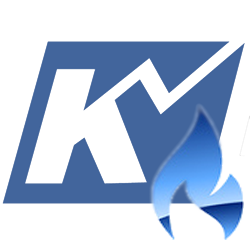 Natural Gas Short-Term Forecast – May 16, 2018 - Kase and Company, Inc.
After holding support near $2.70 last week, June natural gas rallied and overcame the $2.844 swing high. This was somewhat positive, but the move stalled just below the more important $2.873 swing high. This swing defines the top of the trading range that has contained prices since mid-February. For now, odds still slightly favor a break higher out of the range, though the pullback from yesterday’s $2.864 swing high is poised to extend to at least $2.79 and possibly $2.76 first. Support at $2.76 is most important for the near-term and could present a buying opportunity for those that missed last week’s move up or have locked in long profits over the past few days. Even so, a close below $2.76 would shift odds back in favor of $2.71. This is the lowest that the small wave down from $2.864 projects, so this level should hold unless there is a bearish surprise from external factors (i.e. a much larger than expected build tomorrow). Should prices overcome the $2.873 swing high the market must still settle above a highly confluent objective at $2.90 to prove a break higher out of the range isn’t a false breakout. Therefore, $2.90 is key resistance, a close above which would open the way for $2.93, $2.96, and possibly higher.